Give your favorite chocolate-lover this fantastic golden gift of Godiva. 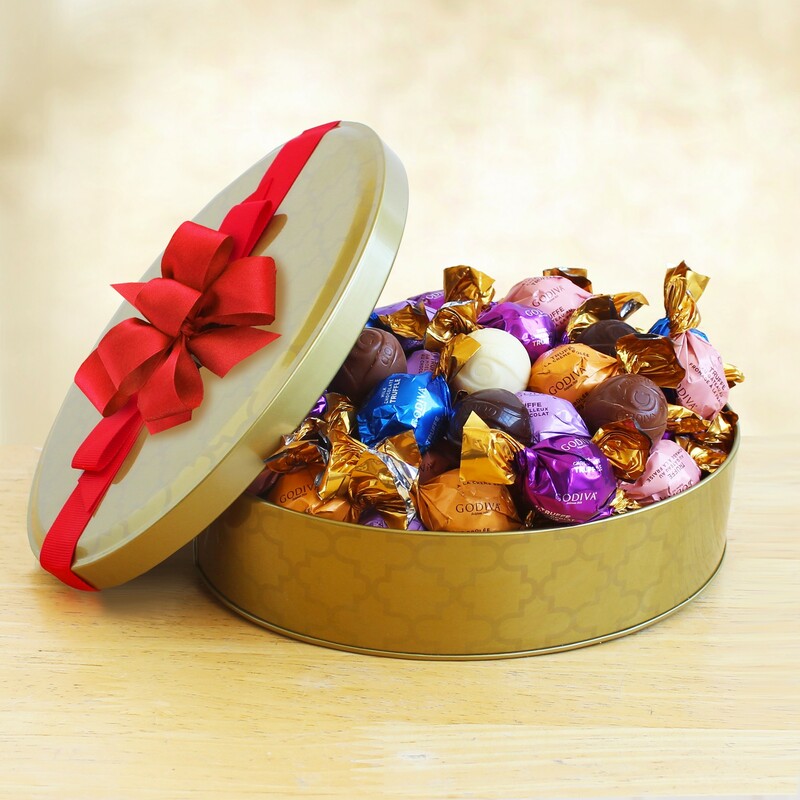 This shimmering tin is filled with one of the most well-known chocolates, sure to please any sweet tooth. Tied with a classic red bow, this gift is simple yet makes a lovely statement of gratitude, congratulations and thinking of you.